It is possible to export CDLs and 3D LUTs from the Silverstack Look Library. To learn more about the Silverstack Look Library please refer to the article The Silverstack Look Library. Figure 1: Select one or multiple looks for export and with a secondary click open the context menu. Figure 2: The export window with the different export options. 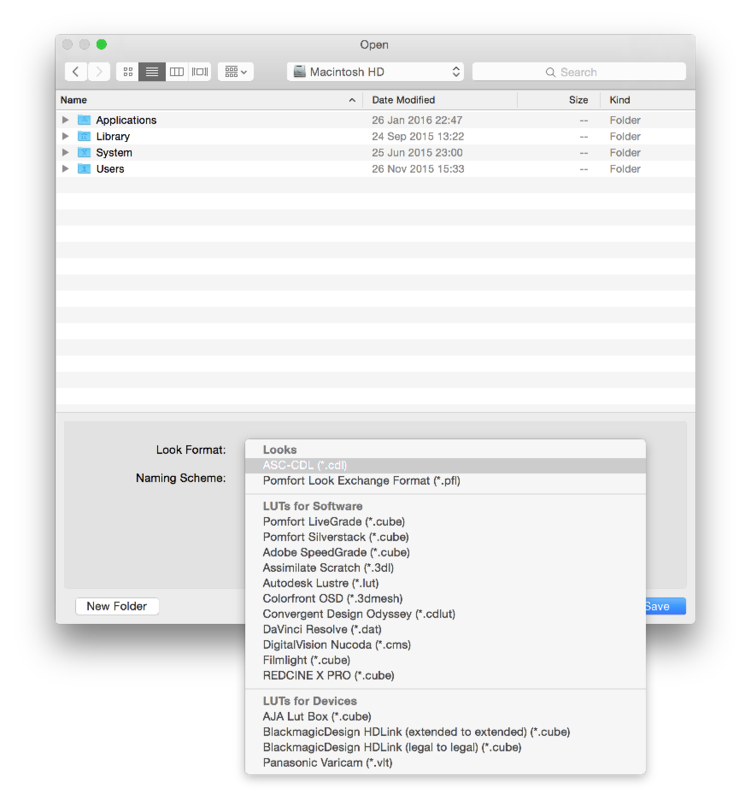 Choose the desired look format and the intended directory and hit “Save”. You will then be able to use the exported look in the intended destination software or device. 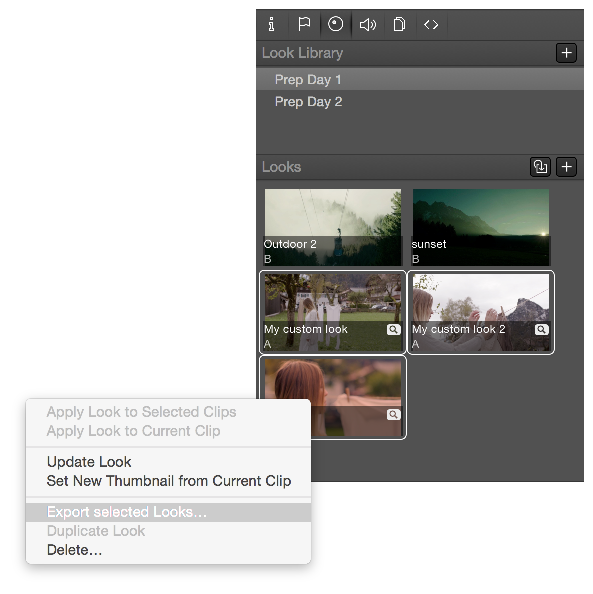 Figure 2: Exporting a Look Archive from a folder in the Silverstack Look Library. In the following wizard select the directory you want to save to and click “Save”. The .pfla file will then be available for further use from that directory. 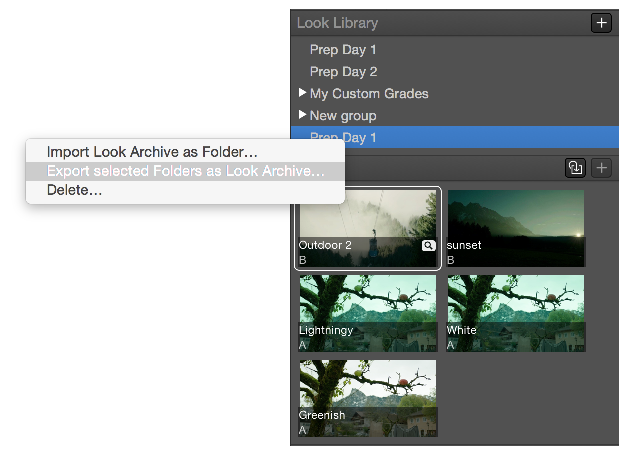 To learn how to import a Look Archive please refer to the article Transferring Looks from LiveGrade to Silverstack.